30 cm, 75 cm, even a meter (1 ft, 2½ ft, even more than 3 ft) of snow in places. Some areas totally isolated. 4 Jan 2019 – More and more places in Austria are cut off from the outside world by the large amount of snow that has fallen. Moreover, a strong wind is causing snow drifts in some places. Meanwhile the army has been deployed in the Upper Styria region, in the east of the country. A valley containing 580 people is currently isolated, reports the ÖRF channel. Emergency services can not reach the area. In other areas, access roads will remain closed until Monday. Austria and southern Germany face heavy snowfall this weekend. 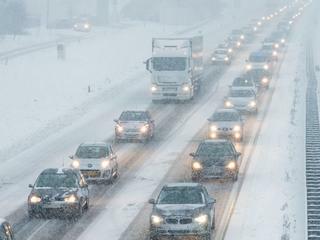 The ANWB warned that winter sports enthusiasts who return to the Netherlands from Austria and the south of Germany this weekend should take into account bad conditions on the road. According to Weerplaza, snowfall in Austria will increase until Saturday afternoon and in many places 30 to 75 centimeters of snow can fall. In some places the snow can even reach a thickness of 1 meter. The post More and more places in Austria inaccessible due to heavy snowfall appeared first on Ice Age Now.